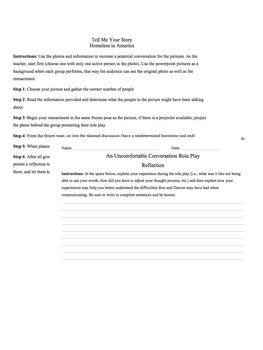 This unit incorporates drama pedagogy activities (role play, writing in role, etc.) 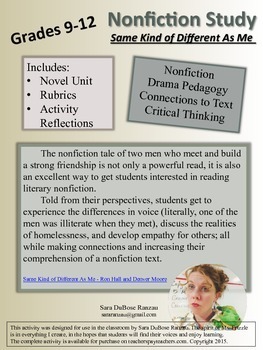 and the reading of the non-fiction book Same Kind of Different as Me by Ron Hall and Denver Moore. 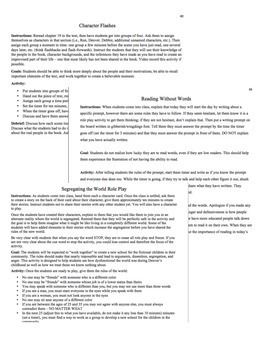 The unit combines activities along with daily reading as well as writing activities and student reflection questions and what to expect for each activity. The Texas standards are also listed as they apply to the unit.